The new set of tumblers is out. I did these last year, it was a long process, there were some issues with the printing; registration, overprints, knockouts, trappings and what not. 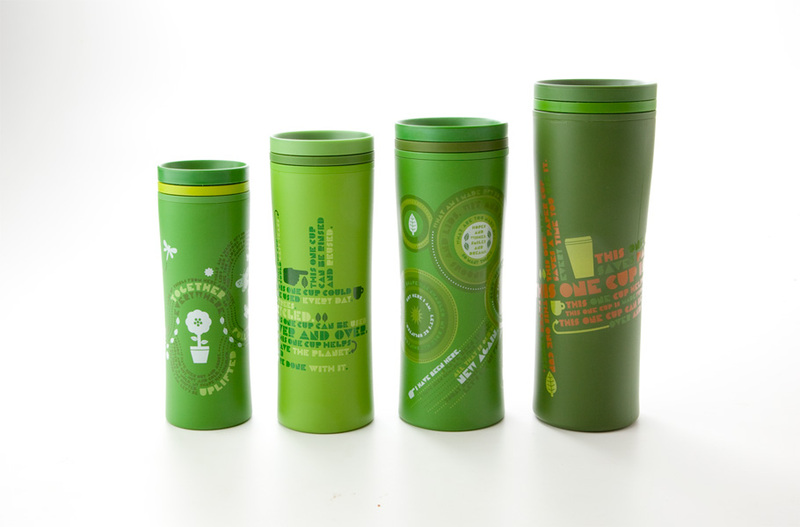 The cool thing about these tumblers is that they are recyclable, so the design is all about being green. The copy is great, it has some cool stories and clever messaging. My buddy, the talented Jessica Hagy wrote the whole damn thing. So here is the whole set, 8oz, 12oz, 16oz and 20oz. Here’s a stamp I created for the new seasonal coffee being sold in Starbucks right now. This one went pretty smooth, the client was really happy with the result. 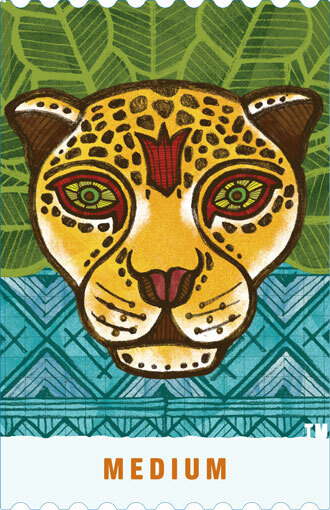 When they mentioned the coffee was going to be from Chiapas I immediately thought of doing a jaguar. 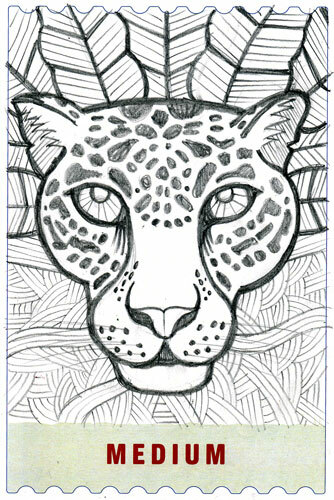 Jaguars are native to Chiapas. When I first started sketching, I went to a more realistic style, but after looking at some wood masks and fabrics, I decided to go for a more handcrafted look. I like the way the illustration turned out.